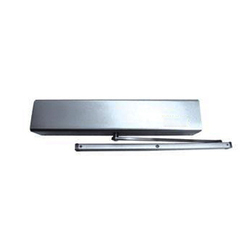 We are offering to our clients an exclusive quality range of Automatic Door Operators. These doors are the driven electrically and are used for the convenience of opening and closing on the receiving impulses and signals. Manufactured and designed in a very latest and advanced manner, this door range is efficient in serving the purpose of smooth and hassle free operation. Customers can avail this range from us in the most comprehensive prices.